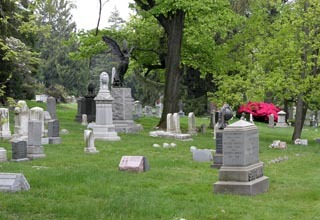 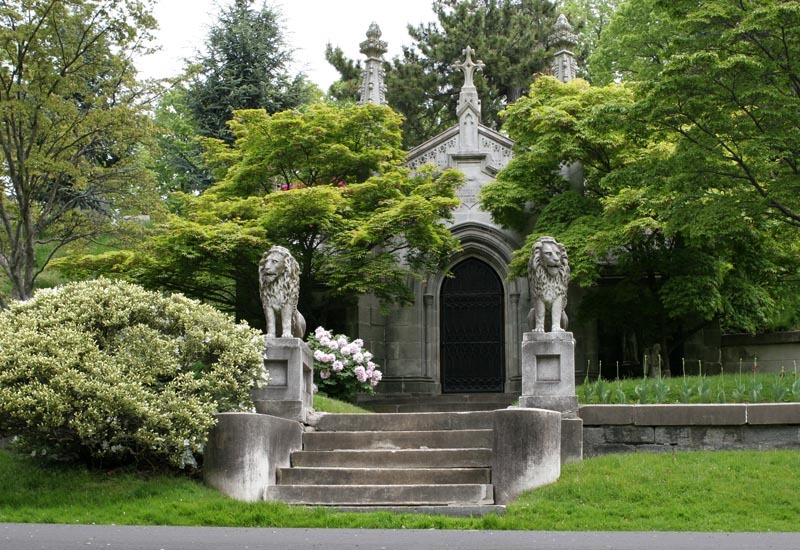 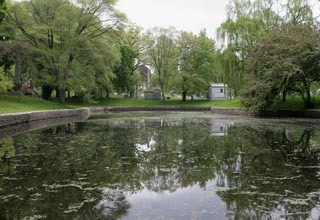 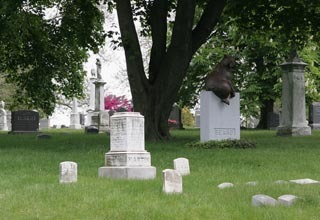 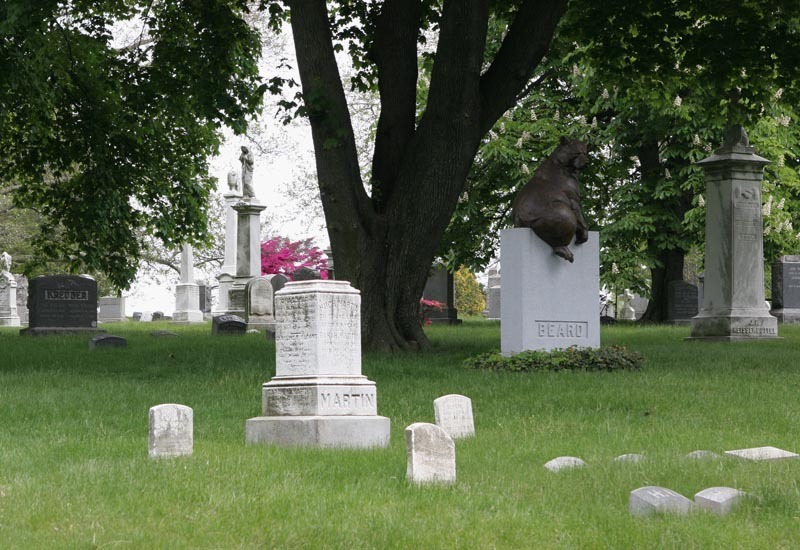 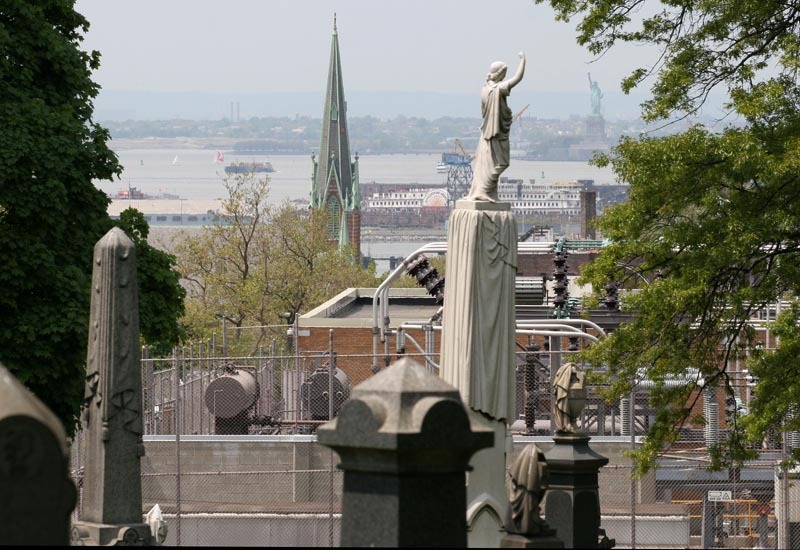 Today, Greenwood Cemetery, mostly unchanged, remains a dominant feature in the Windsor Terrace and Kensington neighborhoods. 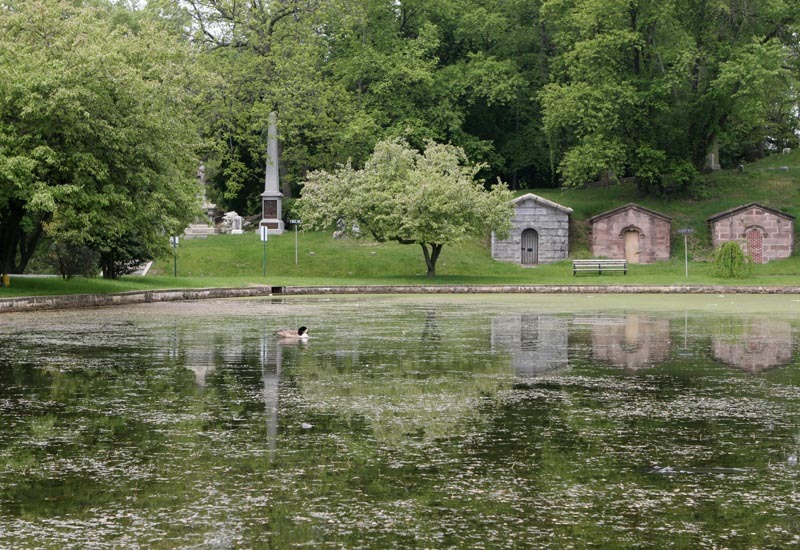 It covers 478 acres and contains 550,000 interments and monuments. 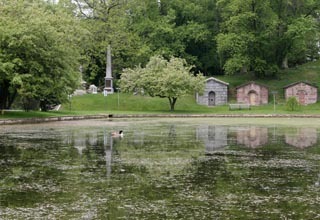 It is the final resting place of jeweler Louis Comfort Tiffany (1848-1933), telegraph inventor Samuel F.B. 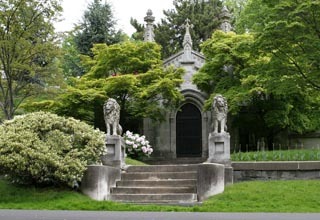 Morse (1791-1872), and composer Leonard Bernstein (1918-1990), as well as the home of memorials to horses, volunteer firefighters, and merchant seamen. 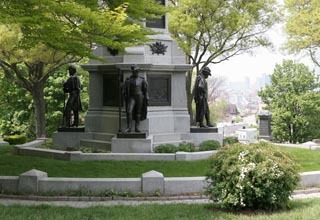 The Soldiers’ Monument was erected in 1869 and honors the 148,000 New York men who fought for the Union during the Civil War. 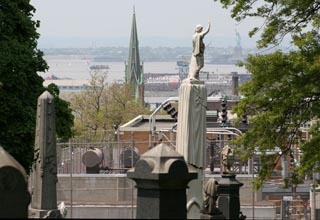 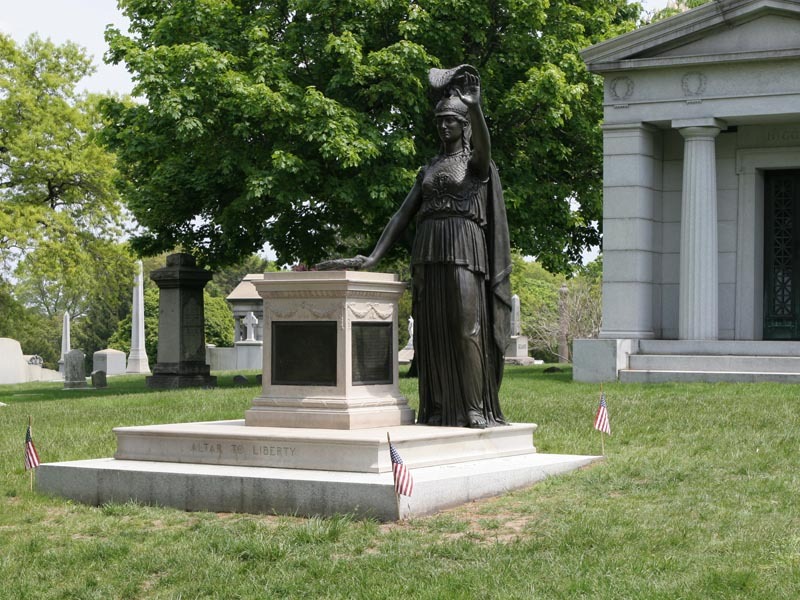 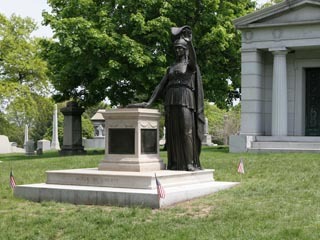 Monuments of the Greenwood Cemetery. 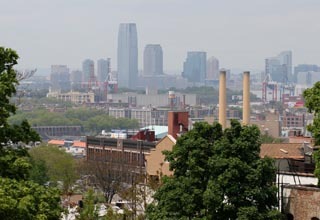 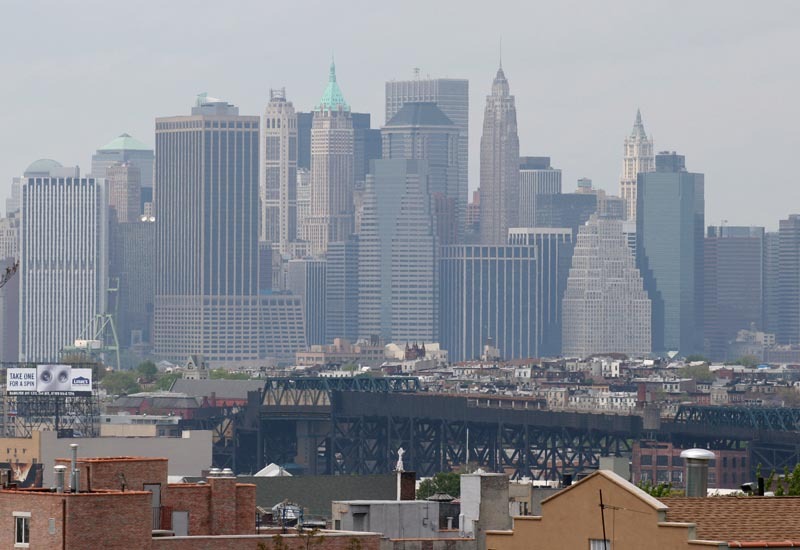 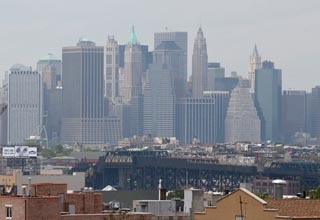 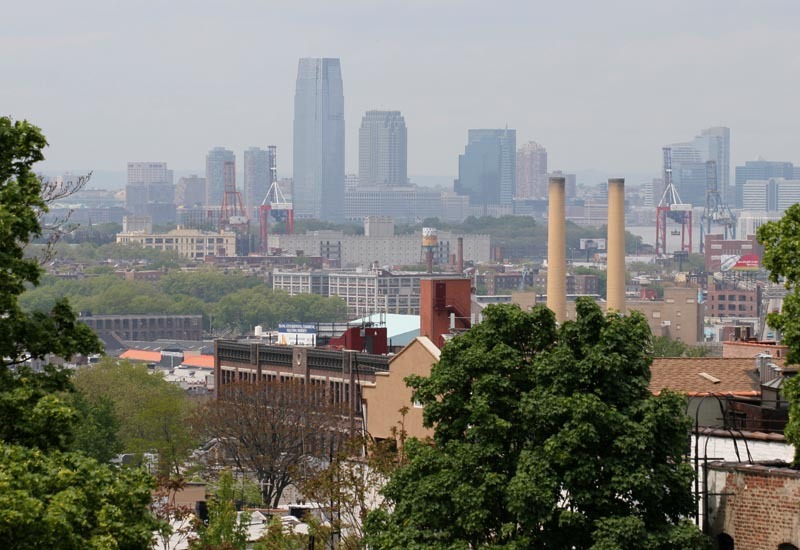 Goldman Sachs Tower, 160 Imlay Street, and the future site of the Red Hook Cruise Terminal.